TV with Thinus: The rebranded eNCA dumps Africa from the TV news channel's new look without any explanation as to why - and a lot of unanswered questions. The rebranded eNCA dumps Africa from the TV news channel's new look without any explanation as to why - and a lot of unanswered questions. 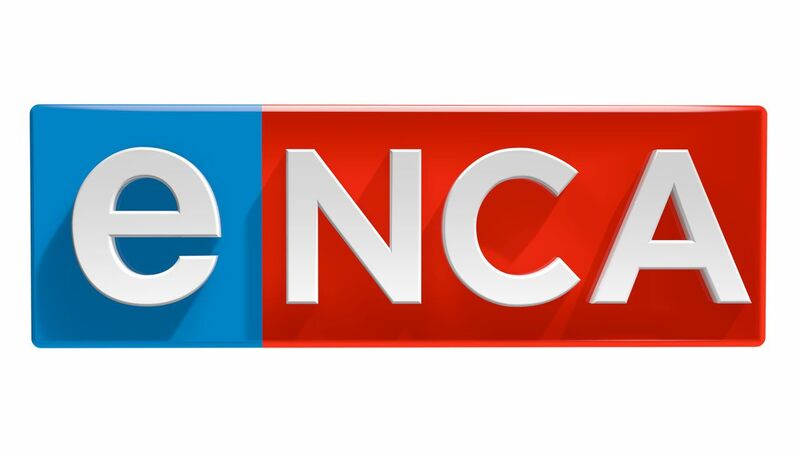 The rebranding of eNCA (DStv 403) introduced this week Monday on eMedia Investments' TV news channel has seen eNCA dump Africa - literally - as in doing away with the 11-point hendecagon symbol representing the African continent. 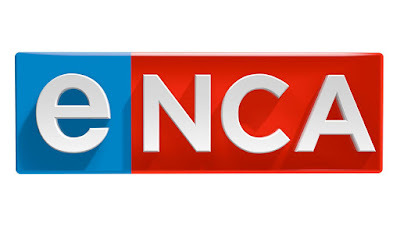 In May longtime eNCA insiders told TVwithThinus that the outline of the African continent done in blue from the second rebrand - and that was formed out of the tiles of the first eNCA rebrand when the logo changed from the eNews Channel look - will be a gonner when eNCA rebrands in July. This has now been confirmed with viewers that can see that Africa as far as eNCA's new on-air look is concerned, is indeed gone. eNCA hasn't explained the news channel's new logo and hasn't explained why the Africa silhouette has been deleted. eNCA and e.tv didn't respond to any media enquiries made last week about eNCA's on-air rebranding. According to eNCA insiders who spoke out in May, a top-level eMedia Holdings executive allegedly said in a meeting that he wants the Africa logo removed from the eNCA logo since Africa is synonymous with famine and corruption. TVwithThinus asked Vasili Vass, eMedia Investments group head of corporate affairs, as well as Michael Pocock, e.tv publicist about this in a written media enquiry and what the company's comment is about this but neither responded. According to an insider eNCA - formerly an abbreviation of "eNews Channel Africa" - allegedly also "no longer stands for anything. It's now just letters". eNCA and e.tv were asked about this, what eNCA stands for now - or maybe still - but chose to also not to comment and respond. eMedia Investment's removal of Africa from the eNCA logo fits in with eNCA's dramatic downsizing of first-hand Africa news coverage over the past 3 years, including the shuttering of its Africa bureaux, firing of correspondents, cancelling its news and current affairs shows specifically covering Africa, and largely making use of international wire news service content when there's news in Africa further removed from its Hyde Park, Johannesburg studios in South Africa. A lot of questions about eNCA's latest rebrand - the news channel's third in its 10 year history - remain unanswered. eNCA didn't explain why the afternoon strand News Day was canned, or why News Night was moved an hour earlier to now start at 17:00, or why Moneyline was dumped. The eNCA on-air rebrand comes amidst a wave of defections from eNCA the last few months with staffers who said that "morale is at an all time low". No word on what eNCA makes of that. What exactly is eNCA's view and relationship towards Africa regarding news and covering it with breaking news stories when it happens as well as investigative first-person, on-the-ground stories in the way CNN International (DStv 401) and Sky News (DStv 402) do? Why the lack of investment in this area? Because eNCA doesn't want to, or can't afford it? How will eNCA on MultiChoice's DStv be different than eMedia Investment's new sister TV news channel, OpenNews, that it will be launching on Openview within months and what are the differentials between the two (since eNCA rebrand now presumably took in account that it can't "rebrand" yet again in a few months come November)? How does eNCA and eMedia Investment execs feel about its ongoing business relationship with MultiChoice that carries eNCA on DStv and what is the future, and long-term future outlook of the channel and this relationship? There are some very clear signs of relationship strain bordering on dislike between the two. Will eNCA's dalliance with political parties and the way eNCA is courting politicians continue into 2019 - a general election year? How will eNCA try to maintain a semblance of impartiality and objectivity when political leaders are put in eNCA's anchor chair to apparently create social media viral moments instead of bringing the audience news - and will there be more similar "must-see TV" stunts during South Africa's election year? Finally there's the litany of complaints regarding the new on-air look that eNCA seems to ignore. Was this tested beforehand? Did someone sit down and look how everything would look on camera beforehand? It feels as if eNCA decided to roll it out to viewers as a live on-air test without actually sorting the myriad of issues viewers are complaining about, first.